Should you need support, here are your options. Option #1. Seek help within your agency when appropriate. If you need help with user security or permissions (you can’t add, edit, or delete something) or if your concern has to do with agency-specific documents or processes, please contact your agency supervisor. Option #2. Search this user guide. 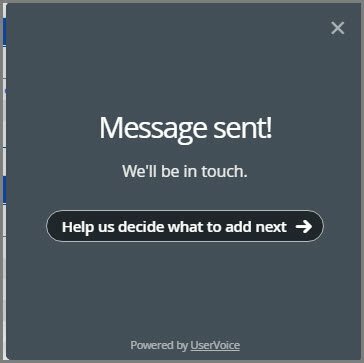 For new users, please reference: Getting Started for general questions. Option #3. Contact the extendedReach Help Desk. From your Workspace, click on “Help” and create a Help Ticket by clicking on “Contact Support”. Follow the instructions below. 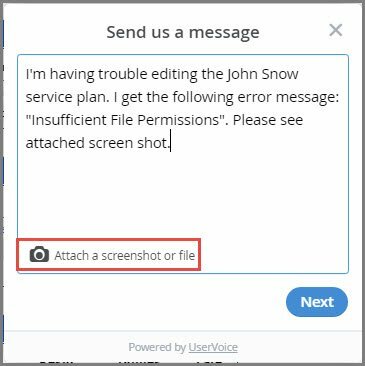 If applicable – a screenshot (using the process below). 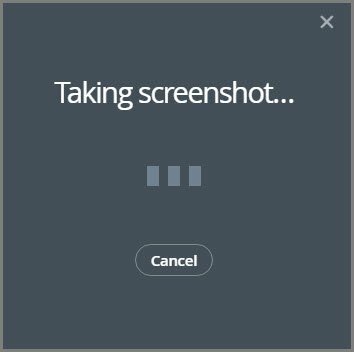 Click on the camera image then choose: “Snap screenshot”. 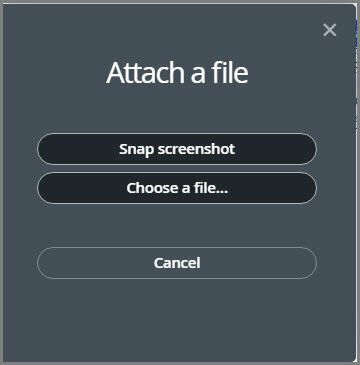 This is what you will see if you select “Snap screenshot”. 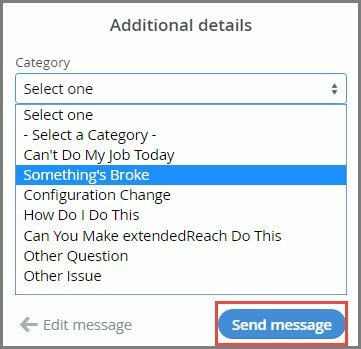 Select additional details from the drop-down menu and click on “Send message”. You will likely receive an auto-solution suggestion. 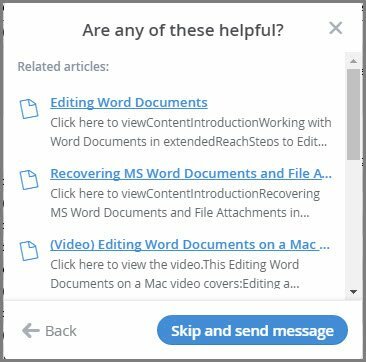 You can click on “Skip and send message”, or click on a blue hyper-linked solution. If you do click on a solution, your Support Ticket is still awaiting you. If you decide to view the article by clicking on the “Click here to view” hyper-link, the article will open in a new browser tab, retaining this open window. If the article answers your question, please return to this open window and click on “This answers my question”, so your Support Ticket cancels. 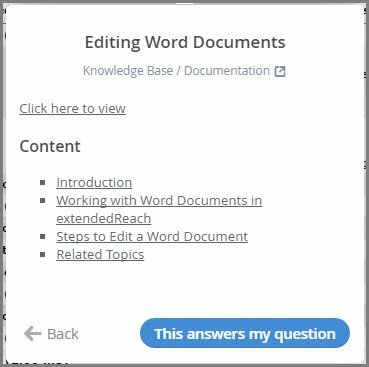 If it does not answer your question, click on the “Back” button and click on the “Skip and send” button. This is your confirmation that the help ticket has been sent. Your question will be processed through our web-based ticketing system and knowledge base, which is built directly into the Help Desk application. You will also receive an auto-response email, verifying the receipt of your Support Ticket. If you have additional information regarding this issue, always be sure to respond to this email, as this links back to your established Help Desk Support Ticket. If you have a NEW issue, please create a NEW Help Desk Support Ticket.